These findings are the result of a JRC multi-model analysis, published in Climate. Multi-model agreement of changes in population affected by river floods in European countries at different global warming levels: 1.5°C (left), 2°C (center), and 3°C (right). Colours depend on the number of cases predicting a positive or negative change. Their aim was to identify consistent, model-independent trends in flood risk in Europe due to climate change and identify the reasons for the differences and similarities among projections of river flood risk. The three studies cover a wide range of methodologies and climate-relevant datasets (such as temperature and precipitation), hydrological and flood modelling, and impact assessment. The comparison sheds light on the influence of the data applied and methods to assess impact projections. Results from the three assessments confirm that climate projections are the main driver influencing future trends of flood risk. Inundation maps for a 1 in 100 year flood event along the Loire River (France) from three different inundation models. The resolution of flood models is a key component to improve flood risk assessments. Other factors such as the bias correction of climate projections, the method for assessing the year of exceeding global warming levels and the spatial resolution of the input data did influence the results, but only to a small degree and without affecting the direction of the projected changes in the three scenarios. The authors also pointed out the importance of using accurate modelling of the extent of floods to achieve reliable impact estimates. 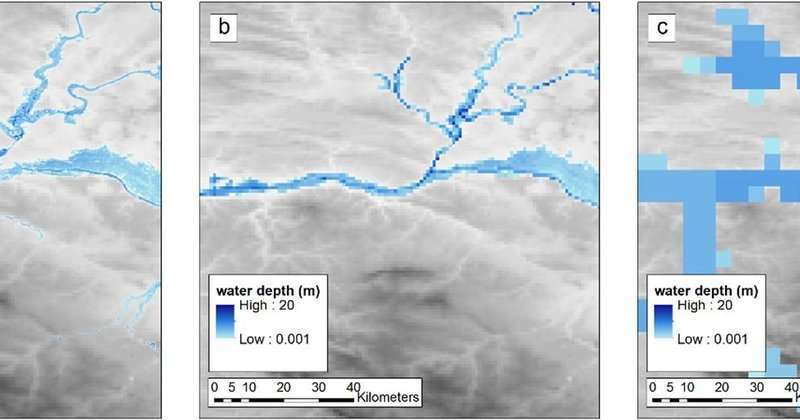 At the moment, this is limited by the scarce availability of high resolution Digital Elevation Models (DEM) over large areas, where small scale features can considerably influence the distribution of floodwaters. This study confirms that global warming impacts river flood risk in Europe significantly, though it can vary in magnitude from region to region. Under the Paris climate agreement, countries have committed to keeping global average temperature rise well below 2°C and aim to limit the increase to 1.5°C, while increasing the ability to adapt to the adverse impacts of climate change. Even if global warming is limited to these levels, changes in regional temperatures (and therefore climate change impacts) can vary significantly from the global average. 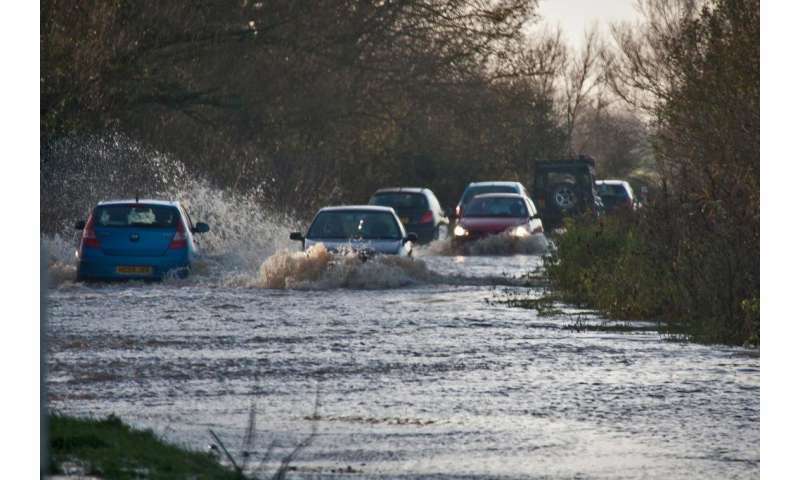 The results of this study show that substantial worsening of flood risk can be avoided by limiting the global warming to lower temperature thresholds. However, considerable increase in flood risk is predicted in Europe even under the most optimistic scenario of 1.5°C warming as compared to pre-industrial levels, urging national governments to prepare effective adaptation plans to compensate for the foreseen increasing risks.